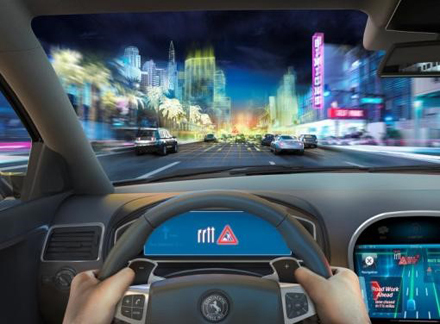 At the CES 2015, international automotive supplier Continental will showcase the forward looking capabilities of the electronic horizon, eHorizon. The eHorizon uses map data to give vehicle electronics a glimpse into the future. This allows the vehicle to adjust to the upcoming route early on and actively reduce consumption. At the international CES in Las Vegas January 6 to 9, 2015, Continental will be demonstrating a new stage in the evolution of the eHorizon, together with its collaboration partner IBM and the location cloud company HERE . Known as the “dynamic eHorizon,” it is connected to the HERE location cloud with real time digital maps and the IBM connected car cloud. Using IBM Big Data and Analytics it takes into account dynamic events such as weather, accidents, or traffic jams. With the help of Cloud Tech, the dynamic eHorizon turns the digital map into a high-precision and constantly up-to-date information carrier that can be used for so much more than just navigation. 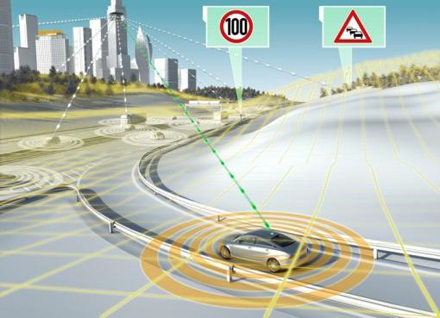 At the 2015 CES, Continental will present the dynamic eHorizon as the focal point of its innovations for displays, access technologies, connectivity, infotainment, driver assistance, and engine management and will show how these components and systems benefit from connecting the vehicle to the Cloud. Driver assistance systems or actuator behavior such as braking and steering can be prepared for upcoming traffic situations, long before the vehicle sensors detect the situation. “With the dynamic eHorizon, we are creating the basis for numerous new applications – from connected powertrain to automated driving. It’s the dynamic eHorizon that makes highly automated driving really comfortable, as the eHorizon complements the vehicle sensors as an additional source of information,” – Ralf Lenninger, head of Interior Electronics Solutions at Continental. Another interesting application can be found in the optimization of the engine management system in hybrid vehicles as well as range maximization of electric vehicles. Both HERE’s 3D route profile and dynamic information about the traffic situation or weather along the way, which may influence the range of electric vehicles, are assisting here. In addition, hybrid vehicles can drive even longer without assistance from the internal combustion engine, if the vehicle has dynamic traffic information. At the CES Continental will showcase this eHorizon use case with the so called 48 Volt Eco Drive System with predictive energy management. At the international CES in Las Vegas January 6 to 9, 2015, Continental will be demonstrating a new stage in the evolution of the eHorizon, together with its collaboration partner IBM and the location cloud company HERE . Known as the “dynamic eHorizon,” it is connected to the HERE location cloud with real time digital maps and the IBM connected car cloud. Using IBM Big Data and Analytics it takes into account dynamic events such as weather, accidents, or traffic jams. “Thanks to the cloud, the dynamic eHorizon turns the digital map into a high-precision and constantly up-to-date information carrier that can be used for so much more than just navigation. With this, we are increasing safety, efficiency, and comfort in trucks and passenger cars,” said Helmut Matschi. 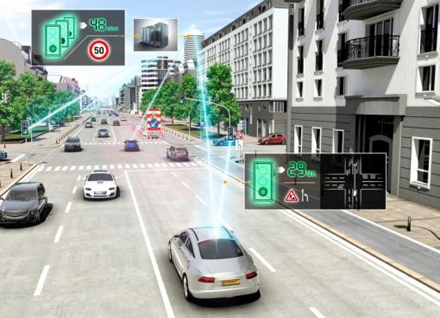 At the 2015 CES, Continental will present the dynamic eHorizon as the focal point of its innovations for displays, access technologies, connectivity, infotainment, driver assistance, and engine management and will show how these components and systems benefit from connecting the vehicle to the Cloud. With Scania Cruise Control with Active Prediction alone, which has become a standard feature of Scania trucks, the eHorizon can reduce consumption by three per cent on average. Since 2012 this has led to a saving of over 63 million liters of diesel, 168,000 metrics tons of CO2, and €86 million in fuel costs. The ehorizon provides the adaptive cruise control system with a three-dimensional profile of the route using nothing else than the topographical route data, the HERE digital map, and the GPS signal saved in the truck. The cruise control system can thus use the information to automatically adapt the speed of the vehicle to the road ahead, thereby actively reducing consumption. The estimated reduction in consumption with Scania outlined above is based on experience from the field gained since the launch of the 2012 system as well as on driving tests conducted by Continental and Scania. The estimate is also based on the systems sold between 2012 and November 2014. Other key data included: an average mileage of 150,000 km per truck per year, an average truck consumption of 35 liters of diesel every 100 km, 2.64 kg of CO2 emissions per liter of diesel, and a cost of €1.35 per liter of truck diesel.